Do you want to be closer to your significant other? 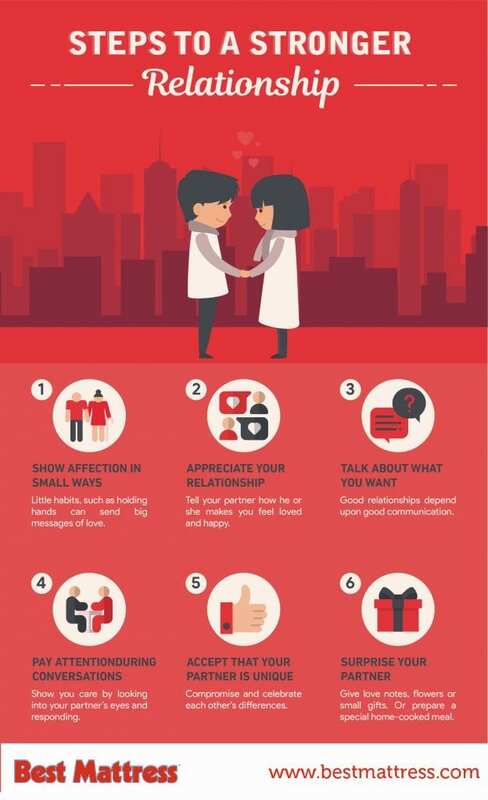 Building a strong relationship with your partner can be done, if you do a few small things. Keep reading for a list of simple things you can do to create a stronger bond between you and your significant other. The little things count as much as the grand gestures in relationships. Show your partner you love them by doing seemingly small things like holding their hand or giving them a hug. Sometimes something as simple as a compliment on your partner’s appearance or thanking them for something they did can brighten their day. Every gesture or action, big or small, that you do for your partner will bring you closer together. Vocalizing how you feel to your significant other will go a long way in making your partner feel loved and secure. Tell your partner regularly how much you love and appreciate their presence in your life. The most important thing that can make or break a relationship is communication. So, try practicing communication with your partner by talking about what your desires and needs are. Whether it’s big, like a long vacation, or a small decision such as, what food to eat for dinner, anything and everything is important. Part of good communication is good conversation. Conversations are an important time to connect with and get to know your partner, so pay attention! Look your partner in the eyes and acknowledge what they’re saying while they’re speaking, so they know they are heard. You can also try saying what you heard back to them in your response. Every person is different and these differences are what makes us human. Learn to love and accept these unique aspects as an important part of what makes your partner the person they are. Celebrate these in each other and you’ll be in a good spot. An easy way to keep the romance going in a relationship is to plan little – or big – surprises for your partner. These impromptu gestures don’t have to be huge or difficult to put together. They can be as simple as a small note slipped into their purse/briefcase or breakfast in bed. An unexpected gift of flowers or your significant other’s favorite dessert will let them know you’re thinking about them and you care what they like.